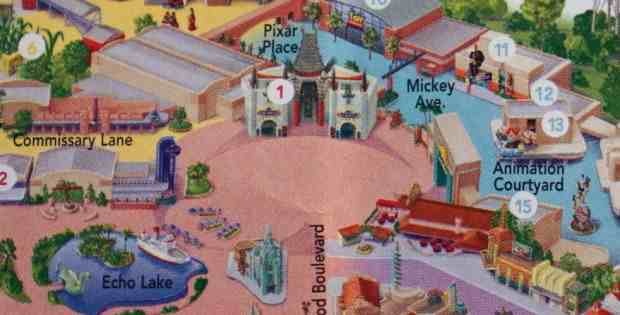 Does this brochure slip up mean the Sorcerer’s Hat is disappearing from Hollywood Studios? Attractionsmagazine.com is reporting that a new brochure just released for Walt Disney World is revealing that the giant sorcerers hat is being removed from Hollywood Studios. Many Disney fans have long considered the big that to be an eyesore, and something that distracts from the original view down Hollywood Boulevard that heads toward the Chinese theater housing the great movie ride. Attractions magazine reached out to Disney officials and were told that they had nothing to announce at this time. The same bro sure seems to show other updated illustrations, such as widened courtyard area in front of Cinderella’s Castle at the Magic Kingdom. What do you think? Is it time for the hat to go? Was it simply a printers mistake? Or do you think Disney released this brochure knowing that fans would catch the change and catch air of what was to come? Leave your comment below!